When you first join Pinterest, pinning seems simple. You upload an image and a link to a board you have and voila — you’ve got a pin! The fervor sets in: You begin to pin all the things you can. Photographs! Infographics! Logos! Icons! As long as it’s an image, it gets pinned. But if you’re trying to grow your business through Pinterest, that strategy won’t help you at all. You can’t pin a million things and hope that people click through — you don’t have the time or resources to pin that much. So you’ve got to make each pin count. Optimizing pins instead of posting willy-nilly isn’t hard, it just takes a little more mindfulness. 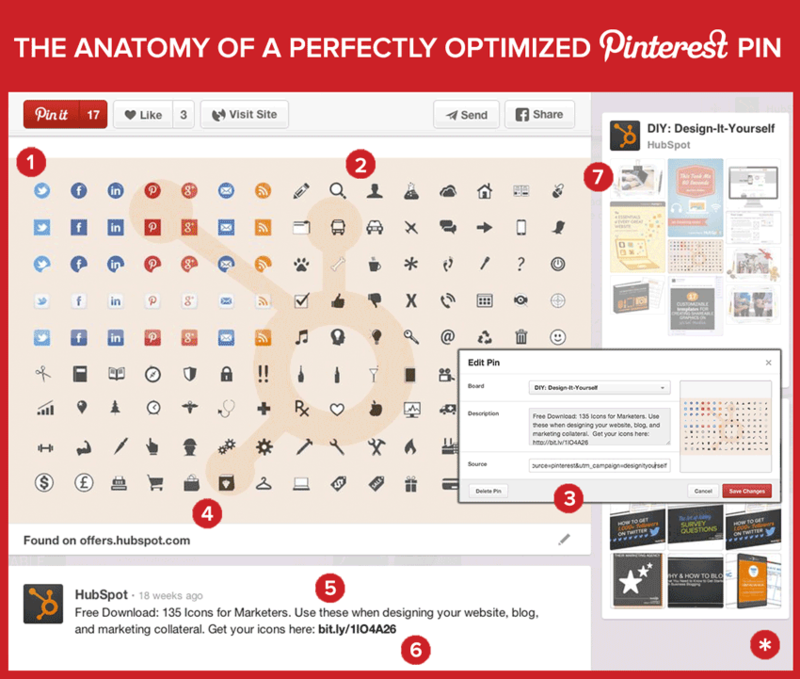 To outline the most important parts of a successful Pinterest Pin, we put together the diagram and post below. Check it out so you won’t forget something crucial on your next pinning spree. This seems like the most obvious of them all … but it has to be said. Images should be about 736 pixels wide (when expanded) with no pixelation. In general, tall images work best as they will appear on the screen longer while people are scrolling through their feed, but you don’t want your images to be overwhelmingly long. There are lots of ways to make your pins look more beautiful, but if you’re just getting started, sticking to a large, high resolution will work. You don’t have to create every image you pin (though if you want to, here are some free tools to help you), but you should stay away from pinning cheesy stock photos — Pinterest users love inspirational, beautiful photos or graphics, or images that are extremely helpful, clever, or informational. Besides being high quality, the image should be indicative of what’s at the pin’s link. 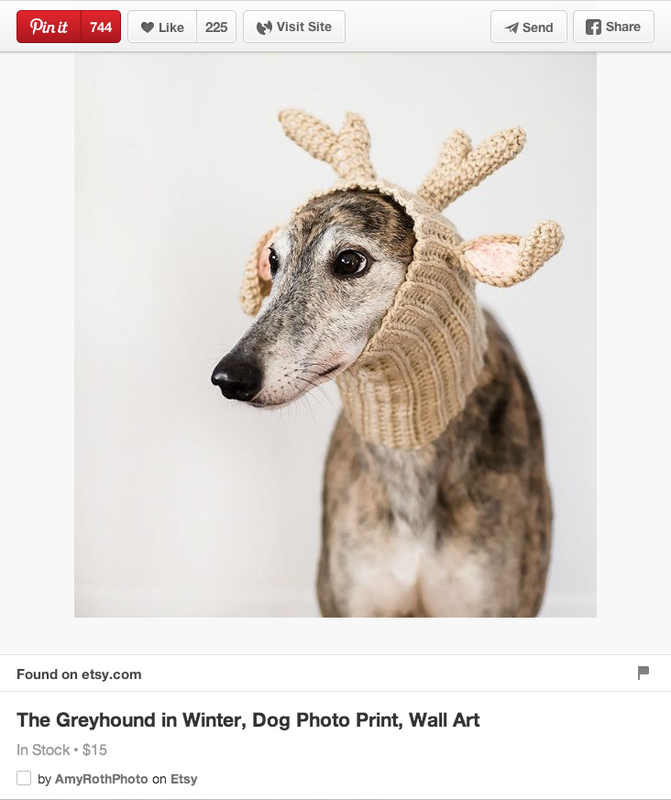 You don’t want to mislead your Pinterest followers with an image that doesn’t match up with the accompanying link — it feels like a bait-and-switch. Instead, choose an image that reflects the link’s contents. If you’re struggling to convey an abstract concept, feel free to add text to your image to describe it. The above example didn’t need that — the icons themselves conveyed what was behind the link: free downloadable icons. If you want an example of a great pin with text on it, check the one out below. Without the title on the image, the pin wouldn’t nearly be as strong — people would have no idea that this was an ebook they could download. Moral of the story here: make sure that people know what’s inside the pin so they feel enticed to click. If you feel like the image isn’t pulling its weight on its own, add text. That little bit of text could make the difference between someone clicking on your pin or not. In previous posts, we’ve bemoaned the fact that Pinterest stripped UTM parameters from pins — you know, those little tracking tokens at the end of URLs that let you measure your success. Well, get excited — that’s not true anymore. Earlier this month, Pinterest announced that you can add UTM parameters to your pins from now on. So make sure you’re adding them to future pins so that you’re able to prove to your boss that this whole pinning thing is worth your time. New to using UTM tracking codes? Get the low-down on how they work here. Attribution goes both for pins you create yourself and pins you post from other people’s content. It’s really easy to get content stolen on Pinterest, so you want to make sure you’re always giving credit where credit is due and protecting yourself if others won’t do the same for you. It’s pretty simple. If you’re pinning someone else’s content, give them credit in the description. If you’re pinning your original content, add your logo or website URL in the photo — if folks share your content without attributing it to you, people will still know where it came from. In the example above, this is a design HubSpot made, so we threw up our logo in the background — it’s not intrusive, but it helps identify the image as ours. A pin’s description is one of the most over-looked parts of a pin — scroll through Pinterest and you’ll see lots of pins without any at all! Even though others are doing it, you shouldn’t. If you’re trying to use Pinterest to build your business, you can’t forget the description — it could have too big of an impact on your results. Keep your copy concise, yet enticing. Tell readers what they’ll get if they click on the pin in around 200 characters — pins with descriptions around 200 characters have been shown to be the most repinnable. Also make sure you’re using SEO-friendly terms to describe the content behind the pin so your pins can successfully rank in search engines. Notice in the example above we describe the download as free icons for websites, blogs, and marketing collateral — those are terms people use when searching for icons to use. Even on Pinterest where it’s a standard practice to click on links, people need a little overt reminder to click. In fact, pins with CTAs actually have an 80% increase in engagement over pins without CTAs (Source: BrandonGaille). So even though you have a link in the pin itself, add a little call-to-action in the description to the pin’s link — it could pay off big-time for you. I know what you’re wondering. Why is this one a star instead of a number? Did Ginny make one huge typo in the middle of her blog post? See that information right below the title of the pin? You can see that this wall art is in stock and costs $15 without having to click through. The reason I included this as a star is because not all businesses can realistically use Rich Pins … but if your business can, you absolutely should. Rich Pins can perform much better than their not-so-rich counterparts: Pins with prices, for example, get 36% more Likes than those without (Source: Shopify). And pins with recipes get 42% more clicks than pins without (Source: BrandonGaille). So if you’re looking to optimize your Pinterest presence to the fullest and have content that could fall in a Rich Pin category, figure out how to get them enabled for your website’s content. This is kind of a trick element because it’s not technically in the pin itself, but because of the way the pin layout looks when expanded, I had to include it here. Take a look at the diagram — when you expand a pin, all the other pin images from their board are pulled in. So you have more opportunities to engage with your Pinterest followers all without doing a thing. To make sure you’re optimizing the other pins on the board, all you have to do is follow all of the tips above for each pin. With a little more mindfulness when pinning, you’ll have more and more opportunities to grow your business through Pinterest. Sounds like a sweet deal to me. Do you use Pinterest for your business? What other tricks do you use when pinning?